On the eve of Ganesh Chaturthi, a unique fusion music and Kathak dance ensemble entitled ‘Vrindan’ was organized at Jawahar Kala Kendra (JKK). Held in collaboration with the band ‘Impulse’, the programme began with a ‘Ganesh Vandana’on Raag Jansamohini . This was followed by a percussion number entitled ‘Talking Tabla’ based on different tabla rhythms. The 80 minutes programme witnessed the performances of traditional rare Indian percussionists on instruments like Nakkara, Srikhol, Tabla, Pakhawaj and Saringi. The rhythmic interaction of different instruments spellbound the audience. A captivating Kathak dance was also presented along with the music performance by Archana Singh. The programme was produced and directed by renowned Tabla player Arunangshu Chaudhary and Archana Singh. 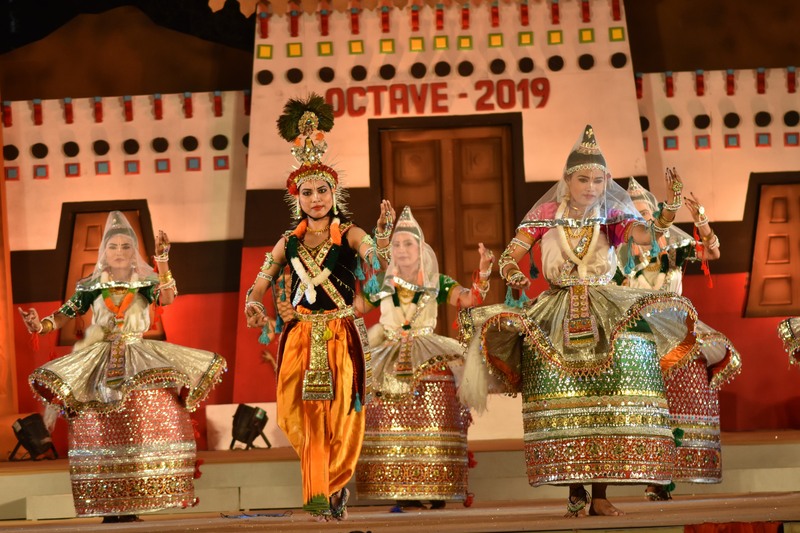 The artistes who participated in the performance were Arunangshu Chaudhury on Tabla and Hand sonic, Ritesh Pathak on Vocals and harmonium, Mani Prasad on Nakkara, Sujoy Chakraborty on Srikhol and Salman Khan on Pakhawaj. It is noteworthy that ‘Vrindan’ has been performed in several known international and national level festivals.